Berkshire is one of the Home Counties. Although one of the oldest counties in England, it has had only ceremonial status since 1998. With the absence of a county council, the unitary authorities of Bracknell Forest, Reading, Slough, West Berkshire, Windsor and Maidenhead, and Wokingham are now the highest tier of local government in the area. Due to the presence of Windsor Castle within the county, it is has often been referred to as “the Royal County of Berkshire” since the nineteenth century, with the name being made official in 1974. Whichwarehouse can assist in either finding a suitable warehouse solution for you or alternatively you can search our listings yourself to find a warehousing company in Berkshire. 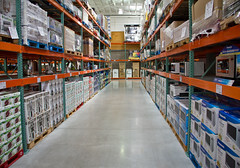 Many warehouses in this area can assist with a range of warehousing services such as; CCTV security, bulk storage, pallet storage, warehouse racking, shrink wrapping, order processing, pick and pack services, an invoice service, stock management, a loading bay, warehousing and distribution and much more to assist ecommerce fulfillment. If more specialist warehousing is required, we have pharmaceutical storage and a chilled warehouse available, with some conforming to the medicines and healthcare products regulatory agency, (MHRA approved). The current facilities we have offering warehouse space to rent and nationwide and international distribution in the Berkshire area are detailed below. So where do you start to look for logistics Berkshire? Contact the below listed 3PL and warehouse providers to enquire as to how they can help your business with their services, via the telephone numbers listed. Please quote Whichwarehouse as the source when making contact with any companies listed on our website. The county shares borders with Oxfordshire, Buckinghamshire, Surrey, Wiltshire, Hampshire and Greater London, which makes it a great location to warehouse your commercial goods. Also, this area offers good transport links to London and the rest of the UK, making it ideal if you are looking to distribute your goods throughout the South and the rest of England. Alternatively, can’t find what you’re looking for – call us on 0800 1707 555 and we will be pleased to carry out a free of charge search of our network for you.